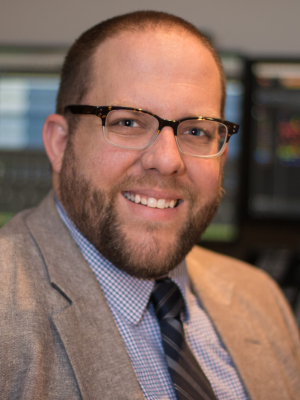 Adam Kruse is Assistant Professor of Music Education at the University of Illinois at Urbana-Champaign where he teaches graduate and undergraduate courses in music education primarily in areas of popular music and music technology. He completed his Ph.D. in music education at Michigan State University and earned a Master of Arts degree in secondary education and a Bachelor of Science degree in music education from Ball State University. Kruse taught secondary instrumental, general music, and music technology in Indiana for seven years. Kruse has presented sessions at numerous international and national conferences and symposia. His scholarship engages issues of diversity, equity, and vernacular musicianship in music education and have been published in the Journal of Research in Music Education, the Bulletin of the Council for Research in Music Education, Music Educators Journal, Music Education Research, the International Journal of Music Education, the Journal of Music Teacher Education, the Journal of Popular Music Education, Update: Applications of Research in Music Education, General Music Today, the New Directions Journal, and the Michigan Music Educator. In addition, he serves on the editorial boards for the International Journal of Music Education: Research and the New Directions Journal. Kruse received an Excellence in Diversity Award, a Dissertation Completion Fellowship, and research enhancement awards from Michigan State University as a doctoral student. His dissertation,"They Wasn't Makin' My Kinda Music": Hip-Hop, Schooling, and Music Education was awarded the 2014 Outstanding Dissertation Award by the Council for Research in Music Education. At the University of Illinois, Kruse has received a Creative Research Award from the College of Fine + Applied Arts and was awarded an M3I4 grant from the School of Music to host the first ever Hip-Hop Music Ed Symposium. Kruse was also recognized with a 2017-2018 Technology Initiative Award from the College Music Society. Kruse’s current research focuses on Hip-Hop music learning and engagements of Hip-Hop culture in school music settings.